The Glen Garioch 12 Years Old benefits from maturation in two wood groups: American Bourbon, and Spanish Sherry casks. 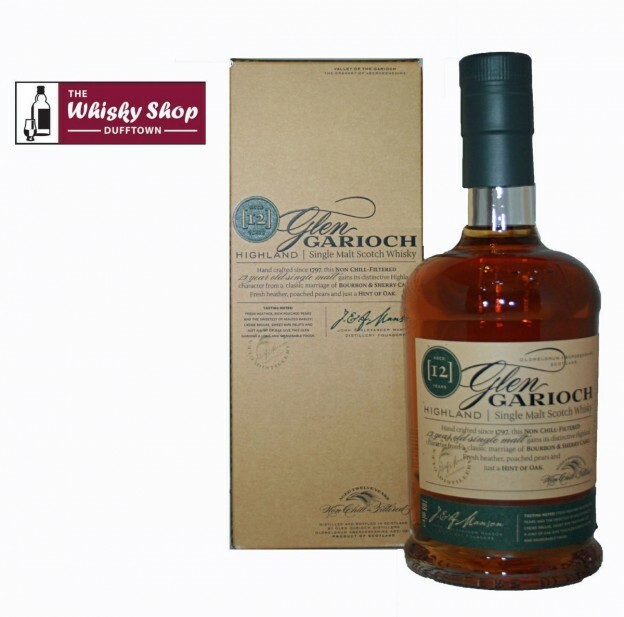 The Glen Garioch 12 Years Old benefits from maturation in two wood groups: American Bourbon, and Spanish Sherry casks. This results in a whisky with lots of heather and pears and a little oak. WSD's Comment: Sweet. Ripe bananas and pineapple chunks. Coffee bitterness on the finish. Distillery: Creme brulee and sweet ripe banana at first then comes a light oakiness with pear fruitiness.